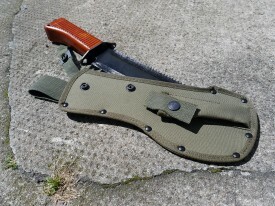 Years ago I got a Spetsnaz survival machete (official designations UVSR Taiga) in a trade. Awesome piece, blade is metal, perfectly scaled. 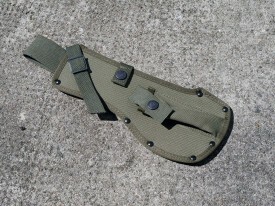 Never used because it lacked a scabbard, and thought I’d lost until a few days ago when I found in the bottom of a storage drawer. 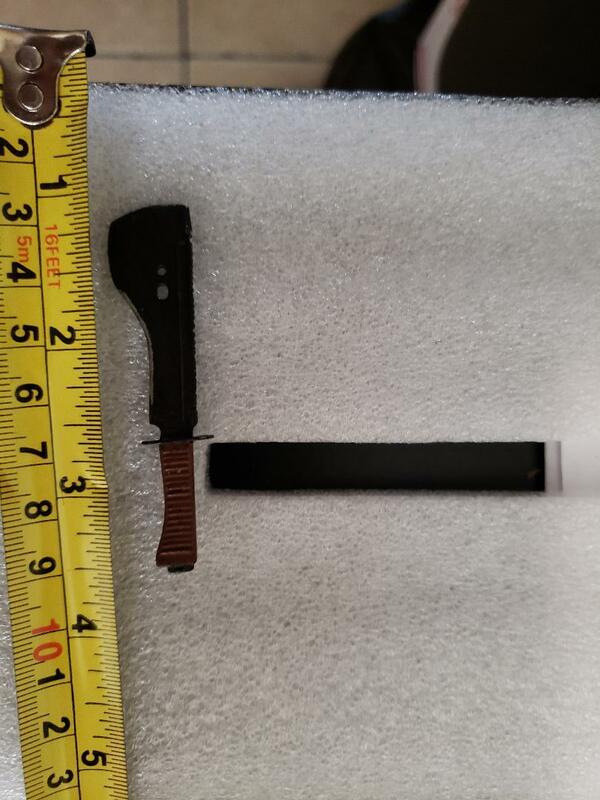 I’m looking for a customizer who can make a scabbard for this knife. 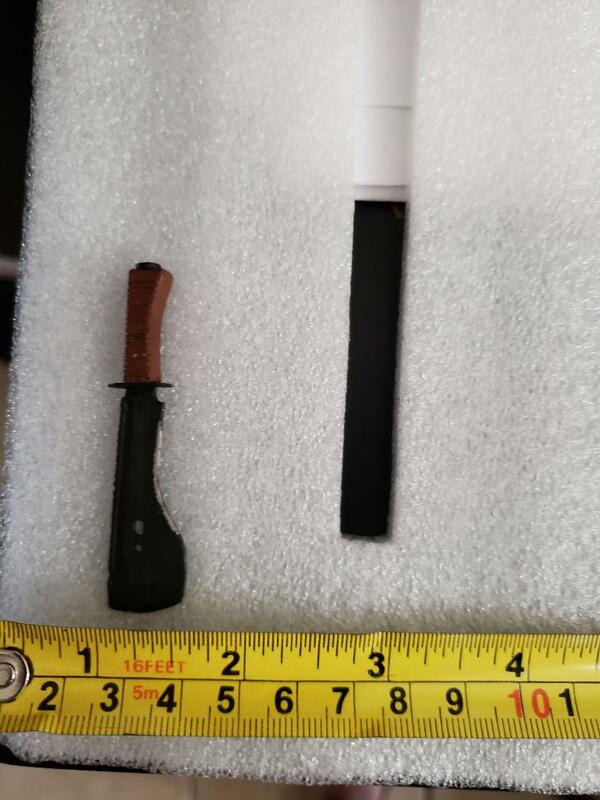 I’ve included pictures of the full-sized knife/scabbard as well as of the 1:6 knife next to a ruler for measurements. Please contact me, and thanks for looking. Might want to check these out. Corrigan (Murry) and Old Traveler (Gustavo) are very good. I think Angel knows both of them since they are on OSW. I would try Gustavo first. @davinator65 & SUN_GZU: thanks a mil for the recommendations. I had once dealt with Gustavo when he did a custom machete scabbard for me and was extremely satisfied with his work. Should have remembered him right away, but that was so many years I’d forgotten…duh. At any rate, I’ll be contacting him. Thanks again!